"See any trees? My longtime motorcycle riding buddy, Edwards Summers, age 70, on a Yamaha XT600. Picture taken about 20 miles from Hawthorne, Nev. on State Route 3C. By the way, see any asphalt, either? 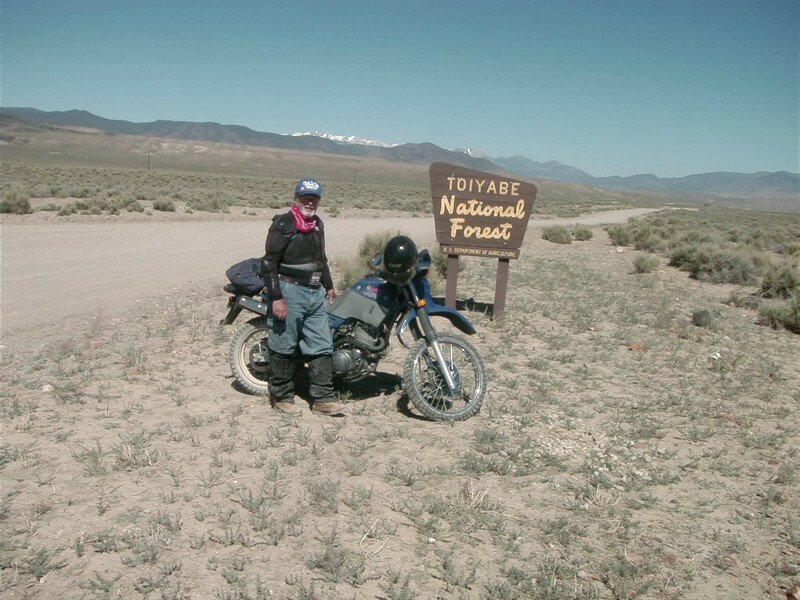 History- Toiyabe National Forest is the principal U.S. national forest in Nevada. With an area of 6.3 million acres, it is the largest national forest in the United States outside of Alaska. The counties with the largest amount of forest land are Nye, Elko, and White Pine in Nevada, and Mono County in California, but there are 15 other counties with land in this widely dispersed forest. The Forest headquarters is located in Sparks, Nev". - Adam Mayer III, Lincoln, Calif.